With his Pentacostal fervor, gold bling and thick white-gray goatee, Del Rio cuts something of a cartoonish figure. Not five minutes before, the 61-year-old pastor had rolled up late to our interview astride a classic Harley Davison (he once earned the nickname “Father Harley” for his devotion to the chopper), looking a lot more like a Hell’s Angel than a Man of the Cloth. But while the hog-riding clergyman may not resemble any of the portraits on the walls of Gracie Mansion, he’s a serious candidate. The self-described political outsider and community insider has been making real change in the neighborhood for decades. For Del Rio and his many supporters, elected office seems a natural stepping stone after decades of grassroots community leadership. This electoral season, the role of Goliath is being played by the two-term incumbent Councilwoman Rosie Mendez, and the struggle – of not quite Biblical proportions – is for the District 2 City Council Seat, which spans the east side of Manhattan, from the Lower East Side to Murray Hill. The Lower East Side and East Village have long been Del Rio’s stomping grounds. He was raised in Brooklyn as part of a religious Puerto Rican family, and attended Zion Bible Institute and worked in construction before turning actively to the Ministry. In 1982, del Rio and his wife Arlene founded Abounding Grace Ministries, based in the Lower East Side. 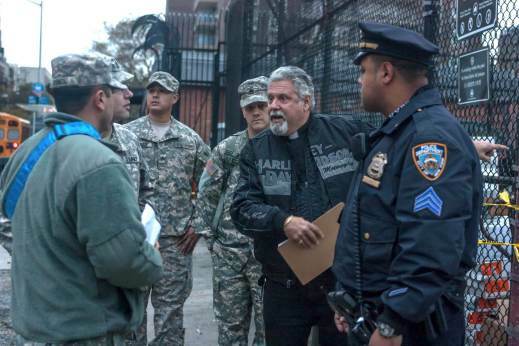 He chose the neighborhood because the NYPD told him it was one of the worst in the city. 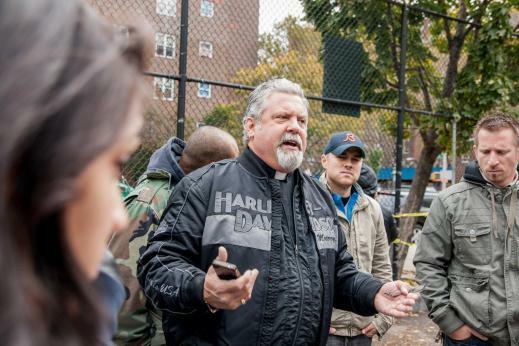 He took his wife and his three sons, bought a truck which he outfitted with a stage, sound system, and a banner reading “Jesus Loves You New York” and cruised around the LES blasting Christian rock and preaching the good word. In 1992, the Del Rios founded Abounding Grace Christian Center as an official church. Over the years, Abounding Grace has become a major hub for youth development and community outreach, offering programs including substance abuse recovery, leadership development and assistance for the homeless. In 1996, Del Rio led a team of 13 young people to cofound the Generation Xcel youth center in the Jacob Riis Houses, offering after-school programs and summer camps to at-risk youths. In 2008, they launched 20/20 Vision For Schools, an educational nonprofit which creates partnerships between public schools and community stakeholders, and which his son Jeremy now runs. In times of crisis, natural leaders emerge, and it was on two of the city’s darkest days that Del Rio’s talents as a community organizer truly shone. 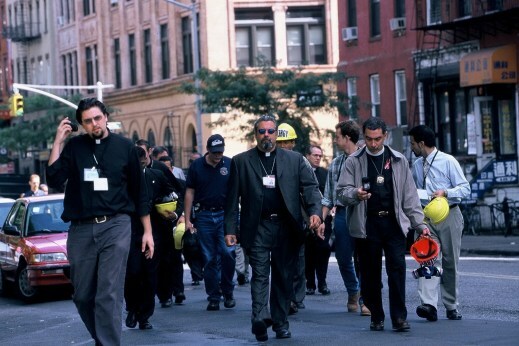 On 9/11, he was the only clergyman onsite at Ground Zero after the death of FDNY Chaplain Father Mychal Judge, and in the days and months following he convened a task force of local ministers who worked together on relief and recovery efforts. When Sandy hit, once again, Del Rio roared into action. Within 24 hours, he was operating “Grace in the Storm,” providing food, water and emergency supplies to over 20,000 people through a network of grassroots community partnerships. While the demographics of the district have shifted immensely over the past few decades, Del Rio remains a champion of the underrepresented. His biggest talking points as a candidate — affordable housing, education and youth development, preserving the shrinking middle class — are a reflection of years spent staunching the wounds of one of the city’s poorest and most diverse neighborhoods. And while there is no advance polling at city council level, this modern David is feeling confident about his chances.